I was in the local Subway for lunch when I ran into Bruce Kennedy, our area’s rock ‘n’ roll guru. 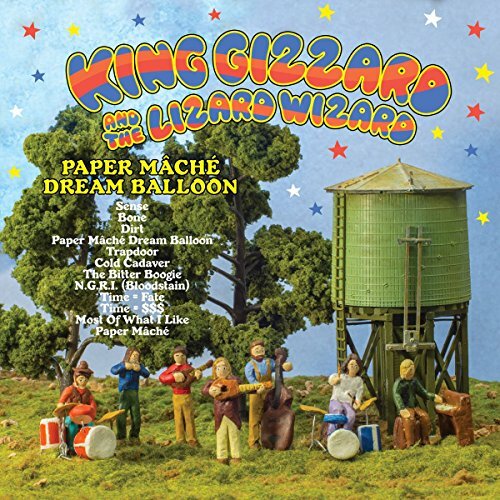 Bruce simply said, “King Gizzard and the Lizard Wizard.” Now, for a moment, I thought Bruce was ordering a new sub sandwich which was named, possibly, as part of a promotion for some recent movie of the same name, a movie promotion that might include a plastic action figure of embossed tote bag. I was wrong. Bruce wasn’t ordering food. I should have known that. His real appetite is for great music, and he was giving me a heads up on a hot new rock band discovery. Let it be said: If Bruce were my stock market broker, I would be a millionaire several times over. Now there’s a new album, Flying Microtonal Banana. The first song, “Rattlesnake” is a throwback to the last album with a power house of an engine room and jerky angular guitar work and vocals with the addition, of what I assume, is Stu Mackenzie’s zurma, which is a woodwind used in music of the Middle East (and sounds a whole lot like a shawm to me). 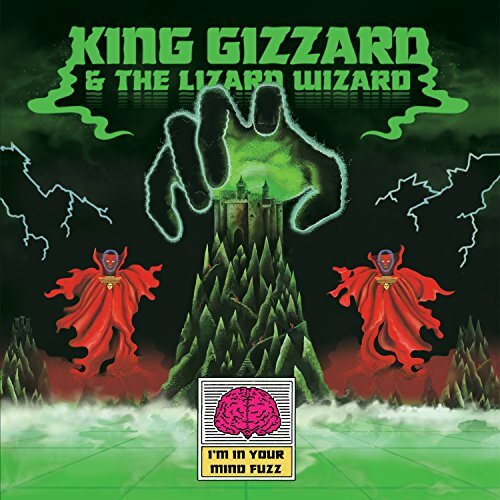 But then The Gizzards exit the record roundabout and head toward Canterbury—the land of Chaucer and Thomas Becket, but more importantly, Matching Mole, Hatfield and the North, Caravan, and all that jazzy prog rock. The organ sound in “Melting” is a dead ringer for Dave Sinclair’s work on “Nine Feet Underground” from Land of Grey and Pink. From then on, the band opens the tap to the microtonal sounds from non-Western music and proves there is, indeed, life “within the without” of semitones through a series of excellent folk/rock/psych songs like the urgent “Open Waters,” the hypnotic “Sleep Drifter,” the almost Thompson/Fairport guitar sounding “Anoxis,” and the weirdly pulsating “Doom City.” All the songs, even the brief instrumental title track, while not having the brazen power of their their last album, display much greater melody which is all housed quite nicely in an Eastern vibe, a vibe with ample zurma and equally ample wah-wah pedal. I hear many reference points in this music but really, this is just the stuff that takes me back to younger years when there were so many great bands who took the time and just made amazing records, amazing records that existed in the small moments, the microtonal moments, far away from the stuff that makes the hair turn grey. Yeah, I’m old, and, yeah, I do have grey hair; but I still love this album. That’s what makes it great.